More than a decade after the election of Nelson Mandela, domestic service remains entrenched in post-apartheid South African culture. 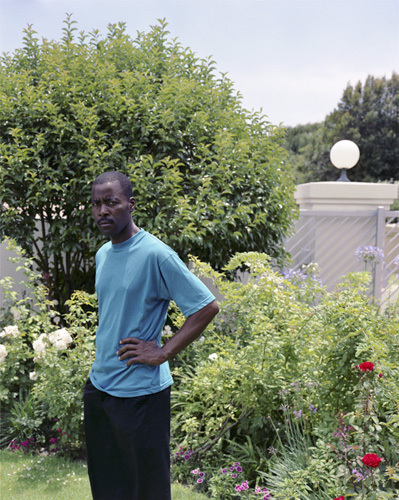 Given South Africa’s high unemployment rates, poor black South Africans and African immigrants lacking in education and opportunity, seek work as “domestics”—gardeners, nannies or maids—within wealthy and middle-class households. Today, more than 1.5 million South Africans serve as domestic workers, many of whom live in on-site quarters, reproducing the country’s legacy of racial and economic inequalities daily, and within the most intimate of spaces—the household. My own experiences as an expatriate South African, raised with black nannies and gardeners, provides me with a personal (and yet distant) vantage point from which to view this persistence of domestic service—something which remains noticeably absent from public discourse on race and equality in modern South Africa. 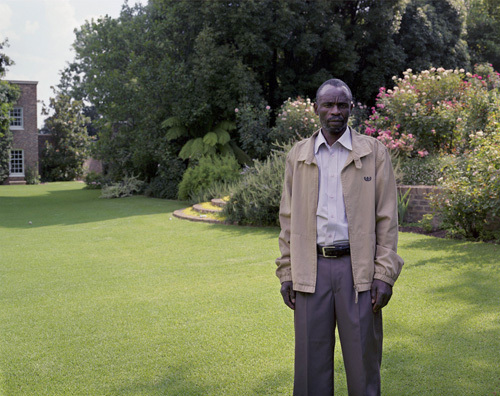 The Garden Path is a portrait series (including my previous Interior Relations Series) that explores the complicated and intimate relationships between employers and domestics, which are interwoven with intimacy, inequity, nostalgia, and the struggle to create and assert post-apartheid identities. 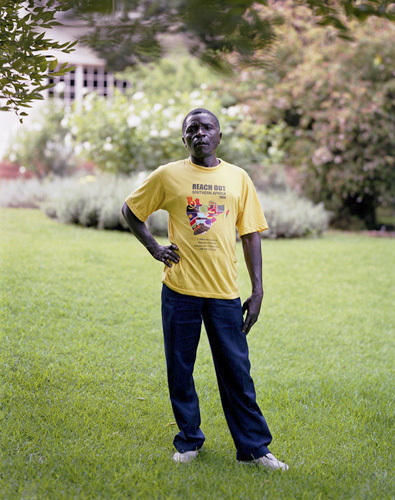 Despite its post-Colonial legacy, the institution of domestic service, so engrained in South African culture, simultaneously provides a unique opportunity for intimacy and understanding that can bridge enormous gulfs in ethnicity, culture, education and poverty. 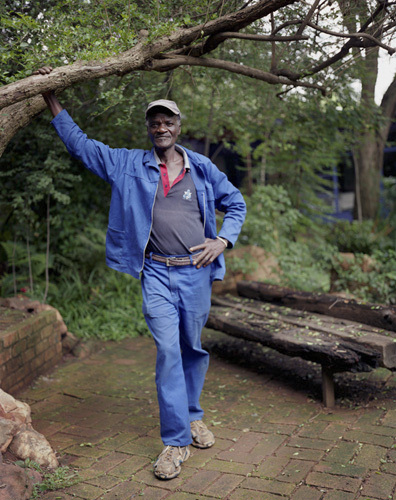 The Garden Path focuses specifically on male gardeners working in Johannesburg, South Africa. The images reference the work of Thomas Gainsborough, in that the formal portraits of these men represent their symbolic “ownership” of these immaculate gardens and estates, which directs the viewer to reconsider their understanding of these men as individuals. 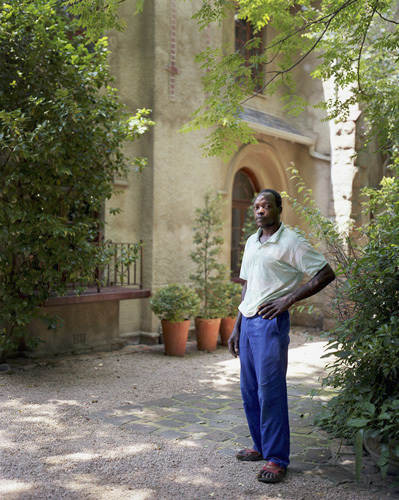 Many of the men have worked in these gardens for years, and as a result the spaces in photographs are their artistic creations. Ian van Coller is a Bozeman, MT based artist and teacher. To view more of Ian's work, please visit his website.